Directly over the Lincoln Ave Bridge in Hawthorne. 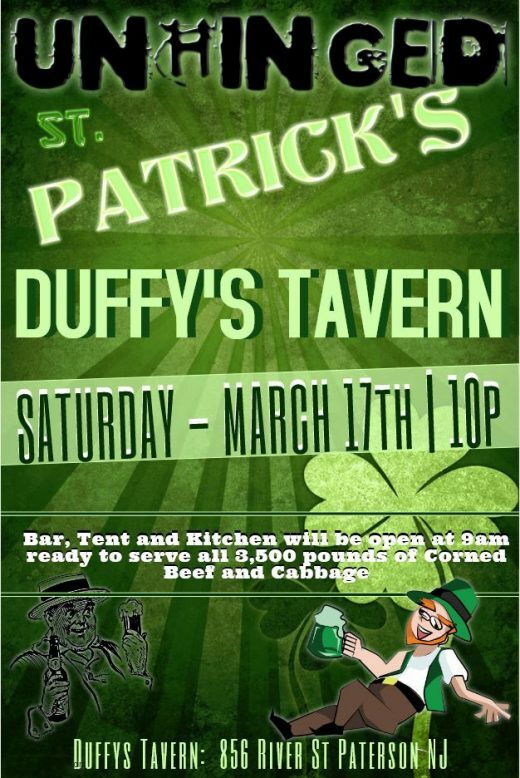 Bar, Tent and Kitchen will be open at 9am ready to serve all 3,500 pounds of corned beef & cabbage. TONS OF GIVEAWAYS ! © 2019 UNHINGED. All Rights Reserved.